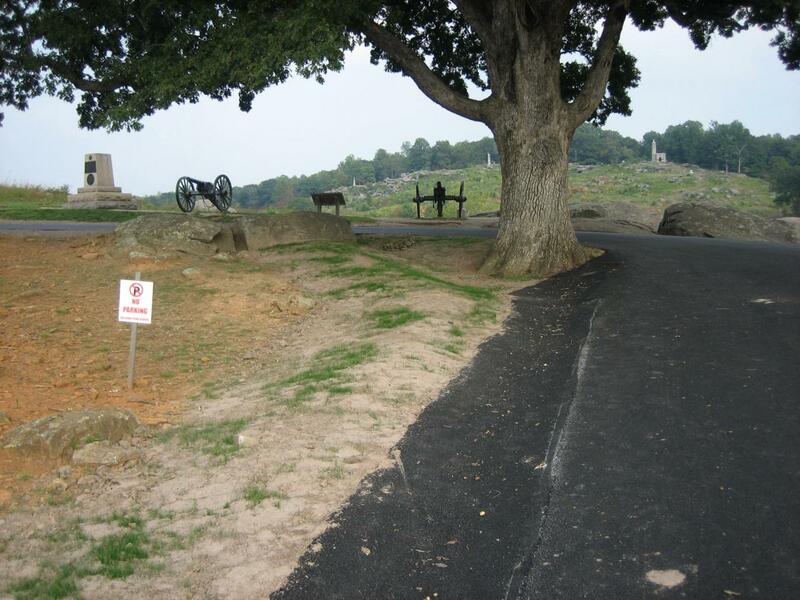 The Gettysburg Daily followed up on the roadwork at the Loop and Devils Den Monday afternoon. Some areas are safer. Others it appears that the construction crew has attempted to cover up its mistakes with asphalt. 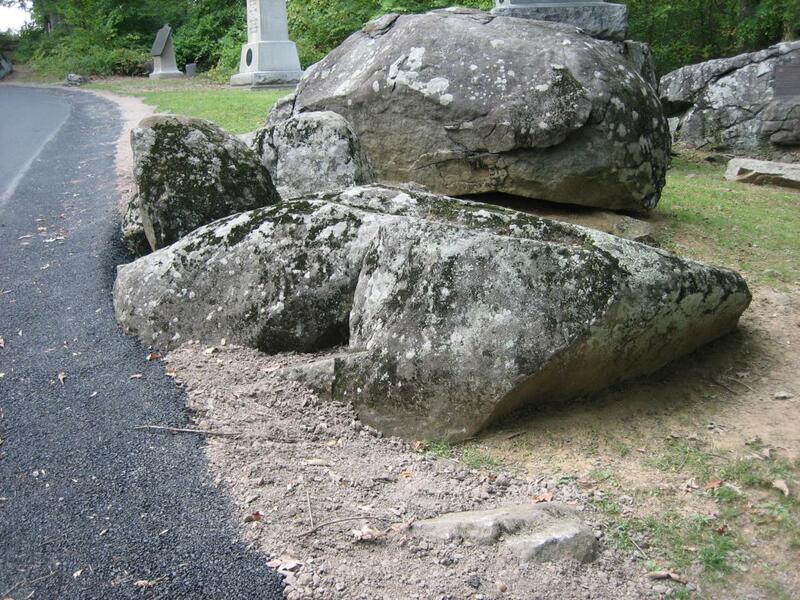 Here’s what a boulder south of the 5th Michigan Monument looks like today. Dirt is in front of the monument. This view was taken from the southeast facing northwest at approximately 5:00 PM on Monday, September 22, 2008. 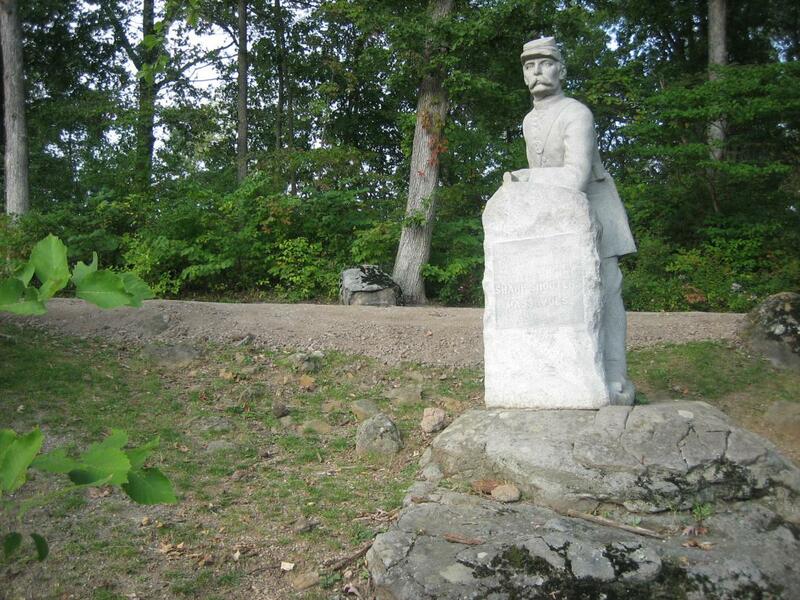 The Gettysburg Daily revisited The Loop and Devils Den Monday afternoon to follow up on the road work. 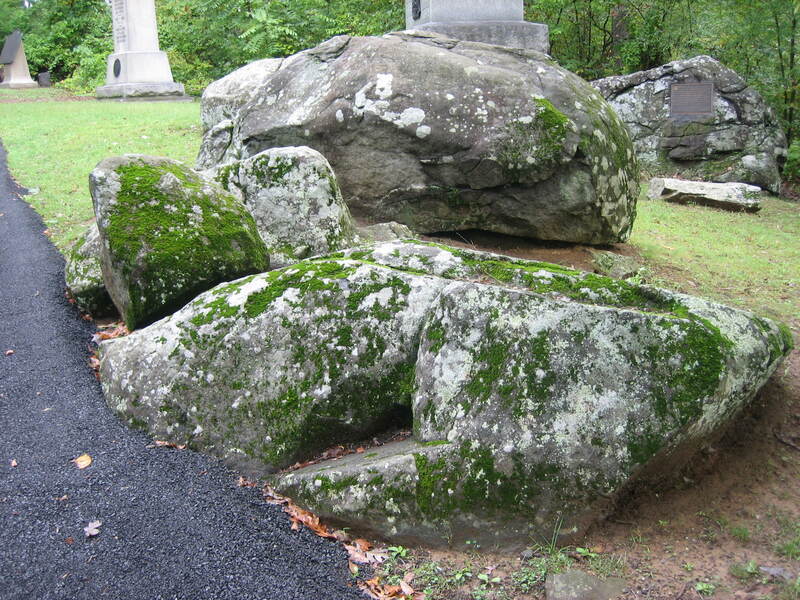 The area is much safer, because dirt is now cushioning the “drop offs.” In at least one area, however, a mistake of asphalting too close to and on a boulder has been covered up with dirt. 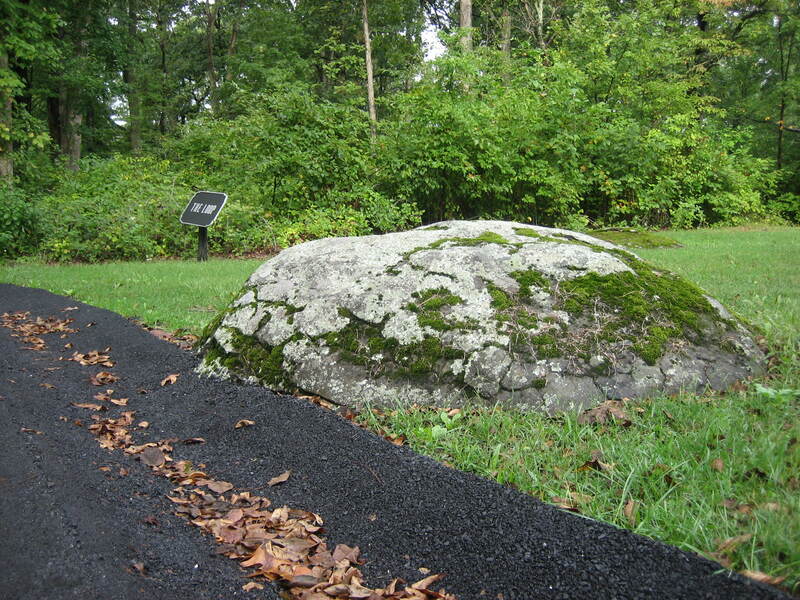 The earthwork which showed up at Devil’s Den a couple of weeks ago looks like its going to be a permanent fixture. Grass has been planted on it. Here’s the same view on September 13th. 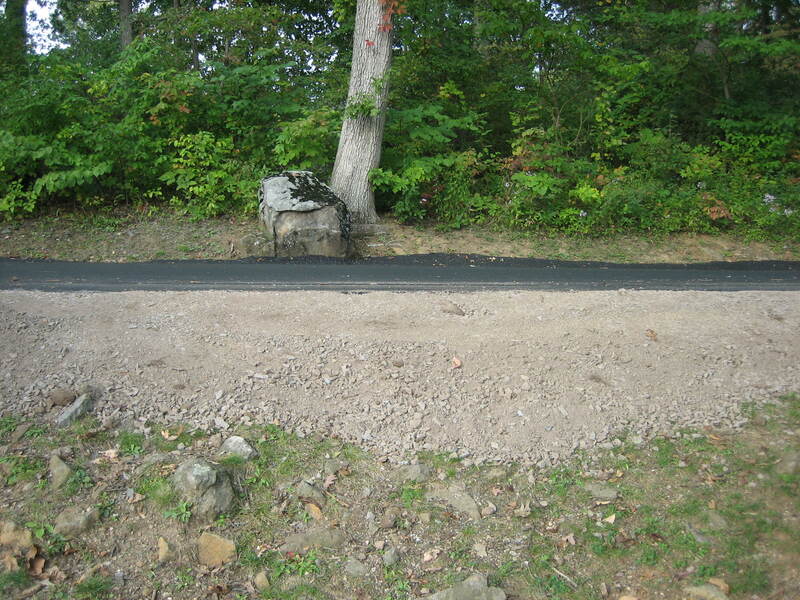 The asphalt shown in this view has now been covered up by the dirt in the previous view. This view was taken from the southeast facing northwest at approximately 9:00 AM on Saturday, September 13, 2008. The new earthwork constructed a couple of weeks ago by the Devils Den Witness Tree now has grass growing on it. It must be a permanent fixture. 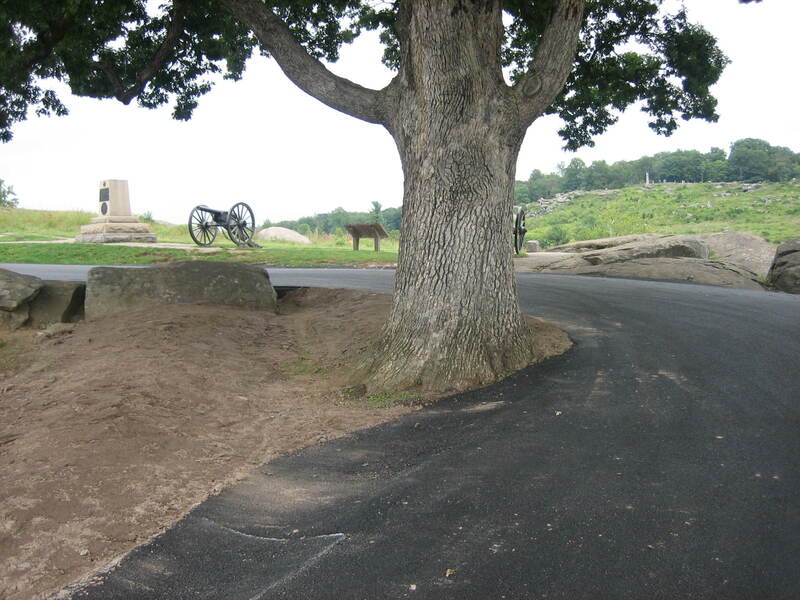 The Devils Den Witness Tree is the one with asphalt hemming it in on three sides. This view was taken from the southwest facing northeast at approximately 5:00 PM on Monday, September 22, 2008. 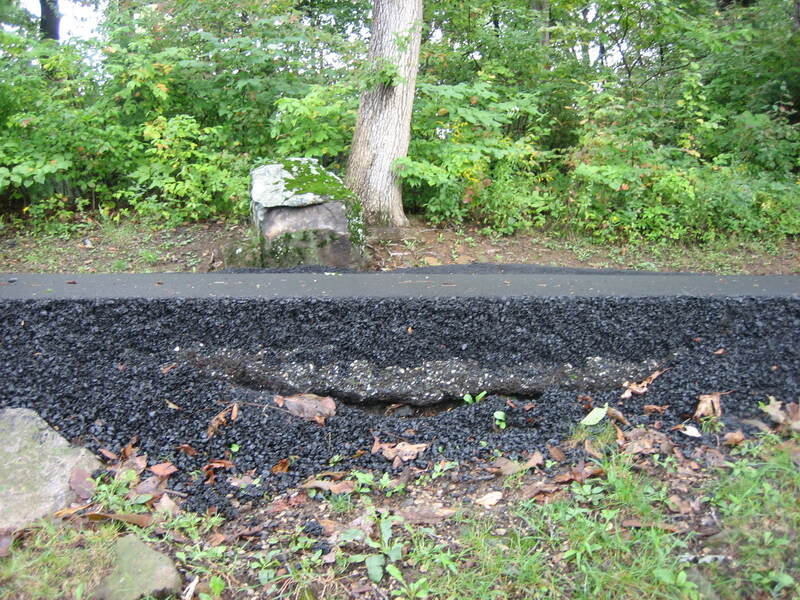 Here is how the earthwork looked on September 11th when we still hoped that it would soon be knocked down after someone realized they made a mistake. This view was taken from the southwest facing northeast at approximately 5:00 PM on Thursday, September 11, 2008. Here’s where the road has become safer. 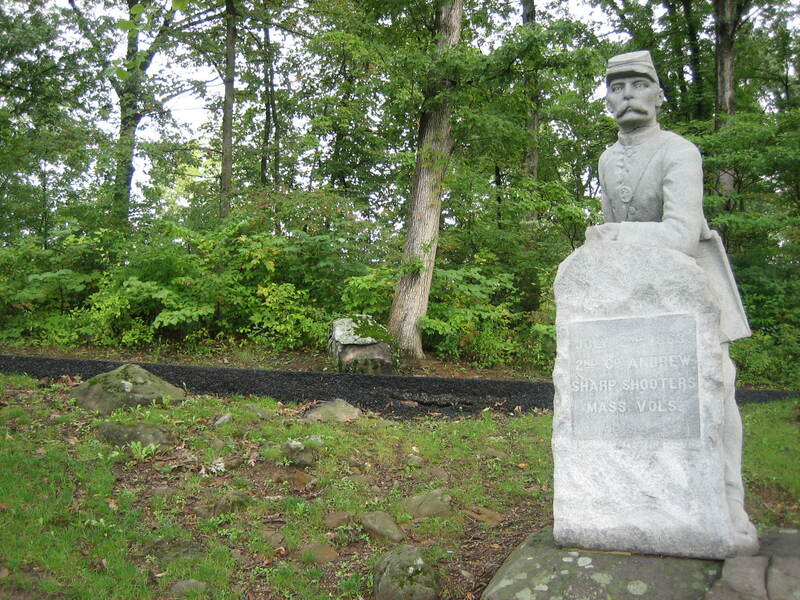 Behind the monument to the 2nd Massachusetts Sharpshooters, dirt now covers up the big “drop off” made by the asphalt. This view was taken from the east facing west at approximately 5:00 PM on Monday, September 22, 2008. Here’s what this area looked like less than two weeks ago. This view was taken from the south facing north at approximately 5:00 PM on Thursday, September 13, 2008. Here’s what the crack behind the 2nd Massachusetts looked like on September 13th. This view was taken from the south facing north at approximately 5:00 PM on Monday, September 22, 2008. Today, the dirt covering the “drop off” makes this area much safer. This view was taken from the south facing north at approximately 5:00 PM on Monday, September 22, 2008. 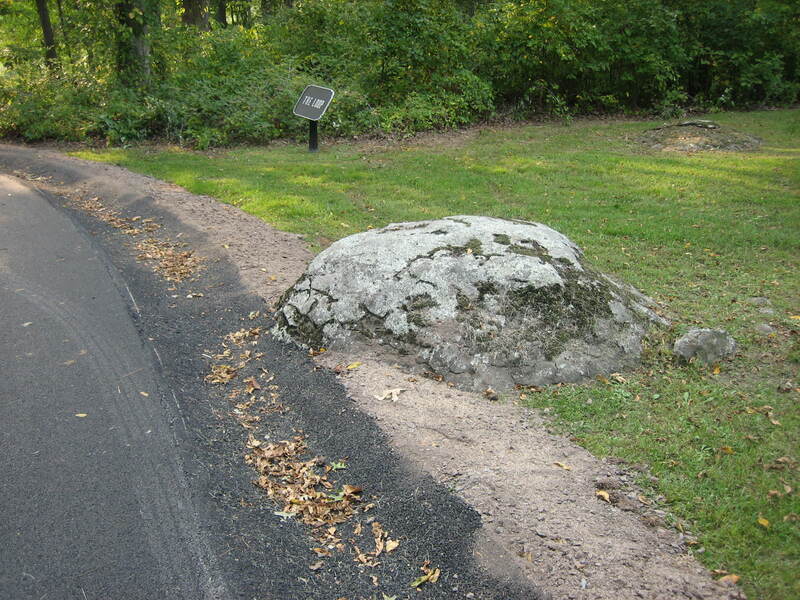 Here’s a boulder at the top of The Loop, and near “The Loop” sign where we showed the new asphalt touching it. This view was taken from the northeast facing southwest at approximately 5:00 PM on Thursday, September 13, 2008. Now dirt and crushed rock have been placed on the west side of the asphalt, extending into the grass another foot and a half. This view was taken from the northeast facing southwest at approximately 5:00 PM on Monday, September 22, 2008.